Hubrid angrily threw his copy of the Neopian Times into the trash can and took a seat at a crooked table in the shadowy dining room of his decaying home. Everything around him reflected the way he felt: broken and shambled. Shingles often tumbled from the roof in a thunderous plunge, leaving gaping holes through which rain misted down, leaving the strong stench of mildew behind long after the waters had dried up. The staircase was unusable; climbing it could very well mean the difference between life and death as the wooden steps crumbled beneath the weight of a mere feather. His mood was even manifested by the plumbing! Faucets leaked day and night and day again, building a dingy ring around the drains. Although the desolation of his home could be chalked up to Hubrid being a lazy homeowner, one thing was certain: Hubrid Nox was a miserable Chia. So miserable, in fact, that he had begun to take his unhappiness out on every Neopets around him. “What kind of good Neopian trolls through graveyards, preying on unsuspecting visitors laying flowers at the tombstones of their loved ones? !” you ask, astounded. The truth of the matter is, Hubrid Nox has a lot to be melancholy about. When Hubrid Nox was just a young man, he was at the top of his class. He had been accepted early to the college of his choice – The Defender Training School. All his life, Hubrid had worked at being a champion, a supporter of good, an advocate for heroism. He helped little old Bruces cross the street. He rescued little girls’ Kadoaties from the highest limbs of trees. He even apprehended thieves outside the Chocolate Factory’s double doors, a whistle between his lips and a rope lassoed around the bandit. He was an all-around good Chia. Walking through the hallowed halls of Defender School was like a dream for Hubrid Nox. Portraits of past students lined the corridors. Judge Hog, Sergeant Brexis, Lightning Lenny, and The Marvelous Stretchy Chia were Hubrid’s instructors - real Defenders! After the end of his first year, Hubrid Nox was at the top of his class. He was well on his way to becoming one of the best superheroes Neopia had ever seen! He often thought of what his alias would be: Humble Hubrid? The Incredible Nox? The possibilities were positively endless. Soon after Hubrid’s final year as a Defender-in-Training began, the students were paired off in dynamic duos. The young Chia was partnered with a furry blue Wocky named Magax. It was not long before Hubrid Nox and Magax became the best of friends, studying hostage recovery techniques and the fine art of superhero costume design. The partnership between Hubrid Nox and Magax was one that you would read about in a comic book. They outshone every other pair of Junior Defenders in the Training School. Hubrid poured over his textbooks each and every night, intent on passing all of his exams and graduating with an offer of employment with the official Defenders of Neopia. While Hubrid sat with books dancing in his eyes, Magax played video games. “I am honing my hand-eye coordination, Nox,” the Wocky cried as Hubrid blocked his view of the television. “Video games will not help you when you are stopping the Meerca Henchmen from executing a robbery at the National Neopian Bank, Magax!” Hubrid replied stubbornly. Magax began to neglect his studies more and more as their second year progressed. With that brainiac genius Hubrid Nox as his partner, what bad could possibly come to him? As their final exams rolled around, Magax began asking Hubrid to help him pass his tests. Dejectedly, Magax trudged back to his desk. He opened a textbook, but could not bring himself to read the chapters. Instead, Magax hatched a plan. He vowed that he would pass that final exam without studying any of the material. A few days later, just before the final exam was scheduled, Hubrid Nox came home to find Judge Hog and Sergeant Brexis sitting on the couch. Between them sat an uncomfortable Magax. Both Judge and Sergeant had disappointed looks on their faces, which only intensified when their eyes landed on the Chia. In Judge Hog’s hand was a crumpled up copy of the Defender Training School’s final exam. Hubrid Nox felt his heart drop. From his seat on the plush couch, Magax shifted uneasily. Sweat began to line his blue forehead and his hairy fingers tied themselves in knots. Hubrid watched his sidekick and felt a sharp stab of betrayal growing from the pit of his stomach. Hubrid Nox knew that his friend had stolen the test. For the past week, Hubrid had seen Magax hunched over a notebook. Assuming the Wocky had finally decided to start studying, Hubrid had swelled with pride. It was not until two of his superhero idols stood in front of him with a stolen exam that Hubrid realized Magax had not been making notes – he had been drawing schematics of the professors’ offices, routing the best path to sneak in and obtain the final exam. By stealing the exam, Magax could avoid studying and spend more time playing Grand Theft Ummagine. Not knowing what to do, Hubrid stared at the Defenders. Seeing no other way out of the situation, Hubrid nodded. “It is my fault,” the young Chia whispered. In a way, Hubrid Nox blamed himself for Magax’s act. If he had forced his friend to study, if he had helped him take notes and hidden the video games, maybe Magax would not have resorted to stealing the test. 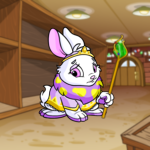 Of all the disheartening things a Neopet could endure, Hubrid Nox could never get over the weight of a crushed dream, which seemed to linger around his shoulders. While Hubrid stood in the rain in front of the Defender Training School, his belongings stacked in soggy cardboard boxes, he lost all hope of becoming a hero. He decided that if he was to be treated like a villain, he would act like one as well. And indeed it did, for Magax had destroyed Hubrid Nox’s goodness. This guide isn't about how to make a Lost Desert pet, no sir. It's about how to improve on their already sophisticated looks through the use of customization. Helping Neopians everywhere obtain the Carnival of Terror avatar.